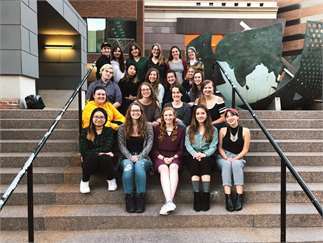 The launch party celebrates the upcoming 2019 edition of The Tower, the University of Minnesota’s undergraduate art and literary magazine. At the party we will reveal the new edition of the magazine and distribute free copies. Join us at the Weisman Art Museum on Wednesday, April 24, 6:00 p.m. for free food, readings from contributors, guest speakers, and the announcement of the winners of the ArtWords contest.